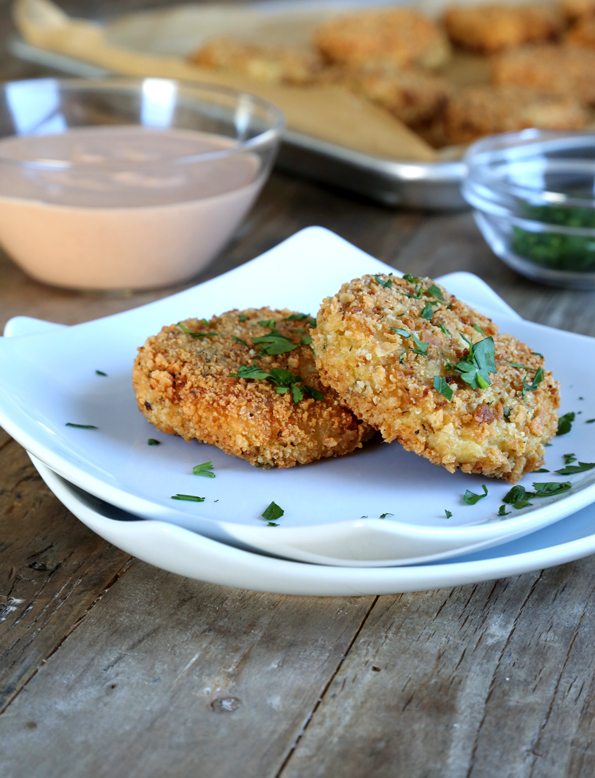 Gluten Free Cauliflower Fritters | Great gluten free recipes for every occasion. So, the Super Bowl is in New Jersey this year. I live in New York, not too far from New Jersey, not too far at all. But apparently the media keep referring to it as the “New York Super Bowl” anyway, which has got to be really making New Jerseyans a bit mental. Poor New Jersey. It can’t catch a break these days. At least the State will get a ton of tax revenue, though, right? The least we can do is eat well on Sunday. And since I’m mostly just in it for the food, that works out really well for me. 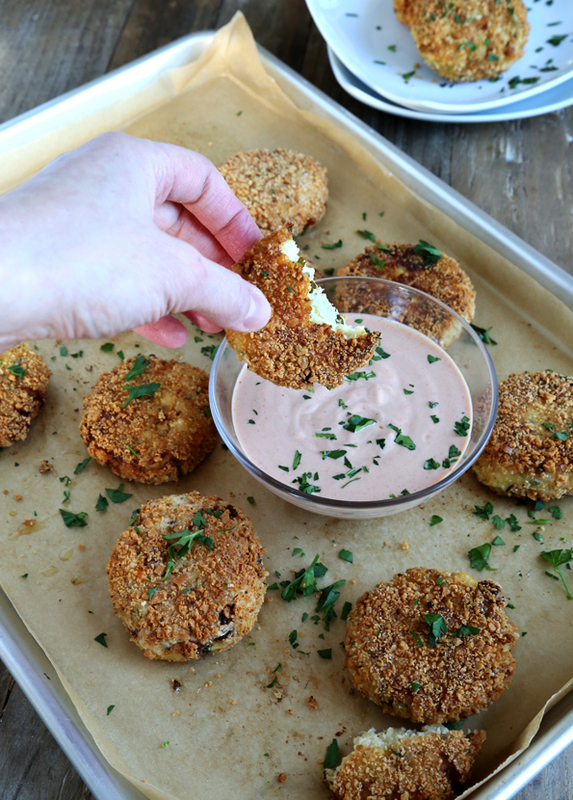 These gluten free cauliflower fritters are an excellent addition to any Super Bowl finger food spread. They take a bit of time, but it’s easy to do it all in stages. I’ll show you how. 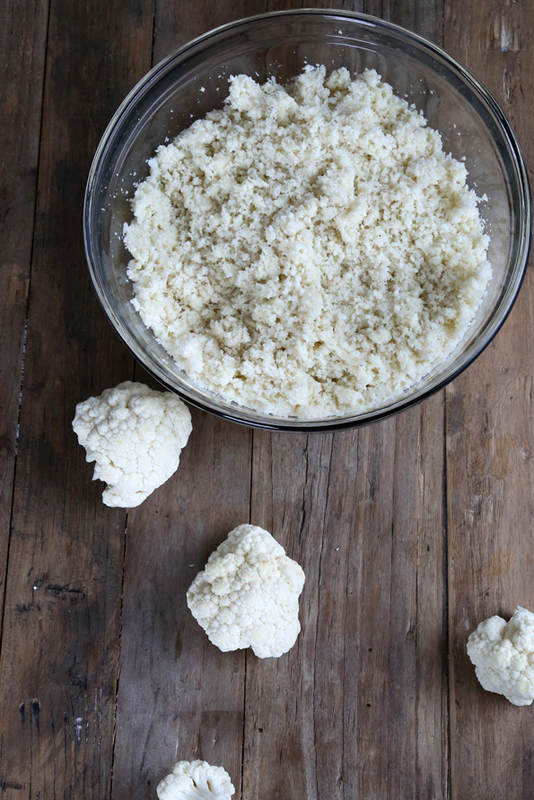 We’ll be “ricing” some cauliflower. Stop rolling your eyes and hear me out! The whole trend of using cauliflower as “rice,” which leads directly to making cauliflower pizza, is something I resisted mightily. We’re talking major eye rolls, perhaps because I love real gluten free pizza (turn to page 186, please) so much and didn’t want to ruin it for myself or for anyone else. If I did, what would I serve for dinner to my family every Friday night?? But then I made it because well I just broke down, and if it’s too cliché to say that I see the light, then ignore me completely. But I see the light. It’s really good. I like to “rice” the cauliflower ahead of time (like, days ahead of time—I tend to do a couple heads at a time and then freeze it and defrost as needed) since it involves using a food processor and I hate that. But it’s totally food processor-worthy. And if you know me at all that is certainly saying something. I’m not sure if it’s a super food or not, and that whole concept always seems like a bill of goods to me, but it’s delicious and it’s a vegetable and all 3 of my children (+ my husband) will eat it greedily. Score. It dresses up a Super Bowl party, too. Which isn’t half bad. Am I the only one who was hoping the weather for Sunday was going to be cold enough that they would change kickoff to earlier like they said they would? Probably. I’m no night owl, that’s for sure. 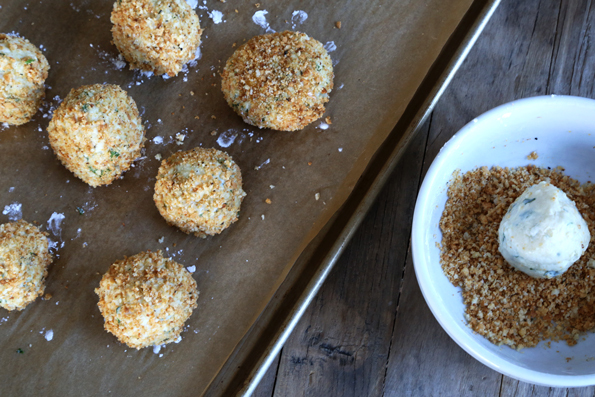 I am trying to make these but got thrown off when I saw “add the riced and dried cauliflower”… when do we dry it? My oven is preheating, but I’m not sure how long to cook it in the oven for? Thanks! Ariane, a closer reading of the recipe will give you all those answers. So, first of all, I knew I would be making these babies just from reading the title, cause they will be awesome! Second, you know how much I love the words “freeze ahead of time.” And then there was the nifty “cook for about 2 inches on each side” typo, that made me smile. On the other hand, there is the cleaning of the food processor . . . I fixed the typo! But I almost wish I didn’t have to. Hysterical. Just a funny typo in your Directions: Cook for about 2 inches on each side…. Oh lunaKM I absolutely laughed out loud at that. It was such an obvious mistake that I was inclined to keep it in since it’s so funny, but I wouldn’t want anyone to be confused. Thanks for pointing that out! These look so delicious- what a creative idea! These look super yummy! I need a bigger freezer!!! Thank you for the dipping sauce recipe!!!! I make my own tartar sauce and then 1000 island from the tartar sauce -very similar to yours but with lots of chopped pickles cause that’s how the Sasse’s roll…. I like your version too for the more sophisticated times… “For parties with ladies,” my youngest would say…. I often chop cornichons and put them in the dressing, but for some reason left them out this time. I guess I thought there was already so much going on flavor-wise! How cute is “for parties with ladies”? Yum. Yum. Yum. I can’t WAIT to make these! I’m gonna whip up a batch of “fake” campfire sauce as well as your sauce for dipping! Hmm…I also wonder if a little old bay would give them a “crab cake” taste….and then I could use tarter sauce for dipping! Or Cocktail sauce! And serve it on a Paleo roll!! ACK!! SO MANY OPTIONS!!!!!!! Old Bay would be awesome in these, John. No doubt. Oh I do love tartar sauce. Go for it! These look amazing. I love knowing there are so many great GF meals out there for me. If you don’t mind a little less perfection in the result (a few bigger pieces here and there), it doesn’t take much time to grate an entire head with the box grater. My trick when grating anything is to do it in the kitchen sink (into a bowl). Then, if anything goes flying, the sink catches it. Sigh. I do love Detoxinista, but I don’t recall seeing a cheese-free version of the crust. But without being able to eat cheese on the top (without bad consequences), cheese-free pizza seems like “what’s the point?” I miss dairy so much! Nope, it relies heavily upon cheese, Donia. Sorry! What??? Mine is old-school, I guess, but I have two speed options (on and pulse) and three blades. It’s got less settings than our toaster! Email me and tell me your hangup. It’s a great tool! Probably not for a long time, believe it or not. 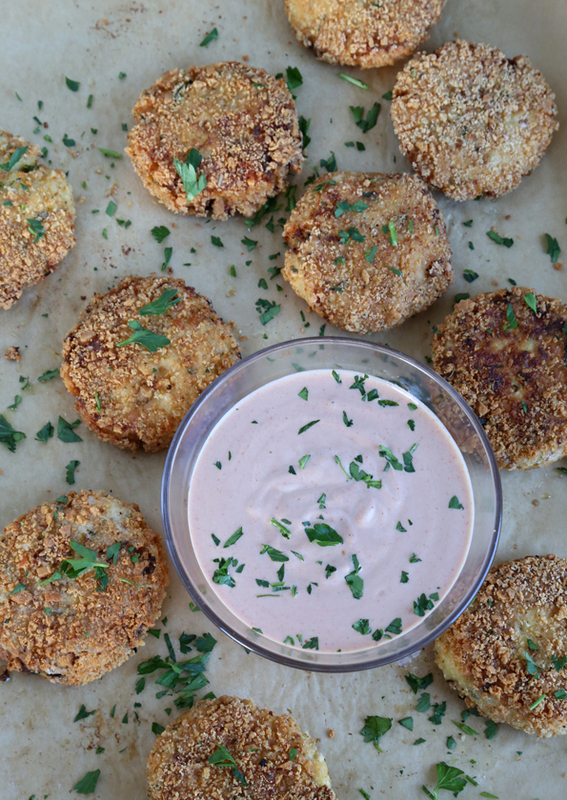 I had to make them a few times to get the recipe just right, so now that it’s up… probably not. Onward!